Critical spirituality is a way of naming a desire to work with what is meaningful in the context of enabling a socially just, diverse and inclusive society. Critical spirituality means seeing people holistically, seeking to understand where they are coming from and what matters to them at a fundamental level; the level that is part of the everyday but also transcends it. What is important in critical spirituality is to combine a postmodern valuing of individual experience of spirituality with all its diversity with a critical perspective that asserts the importance of living harmoniously and respectfully at an individual, family and community level. Human service professionals currently wrestle with the gradually increasing expectation to work with spirituality often without feeling capable of undertaking such practice. Some work with people experiencing major trauma or change such as palliative care or rehabilitation where people ask meaning of life questions to which they feel ill equipped to respond. Others work with individuals, families and communities experiencing conflict about spiritual issues. Increased migration and movement of refugees increases contact with people for whom spirituality is central. Such experiences raise a number of issues for existing professionals as well as students: what do we mean by spiritual? How does this relate to religion? How do we work with the spiritual in ways that recognise and value difference, without accepting abusive relationships? What are the limits to spiritual tolerance, if any? This book explores these issues and addresses the dilemmas and challenges experienced by professionals. 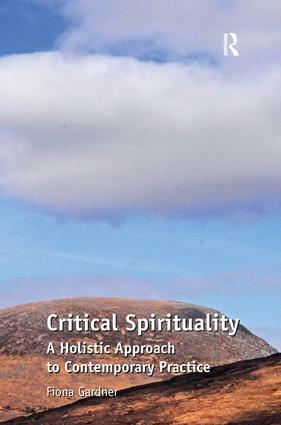 It also provides a number of practical tools such as possible questions to ask to assess for spiritual issues; to see spirituality as part of a web of relationships.